Remember when I said I wasn’t making Halloween costumes this year? 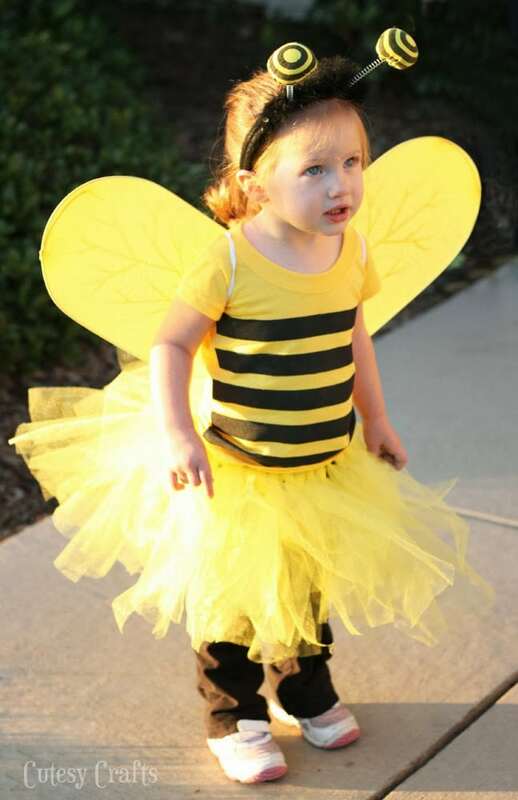 Well, I decided last minute to make Leah a DIY bee costume for Halloween. The dollar store had the wings and the antennae. She just needed a tutu and a shirt. The tutu would be easy to make, and I could just paint stripes on a yellow shirt. Easy right? Wrong! 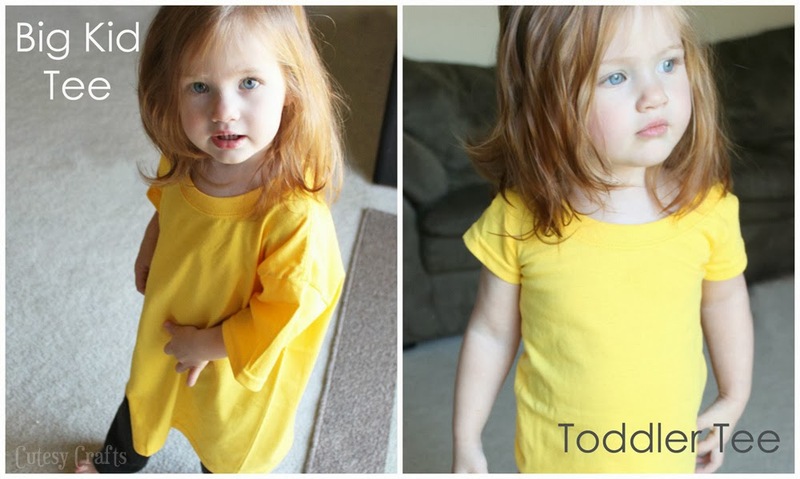 Finding a plain yellow shirt for a toddler proved to be impossible. I checked every craft store and even some retail stores. 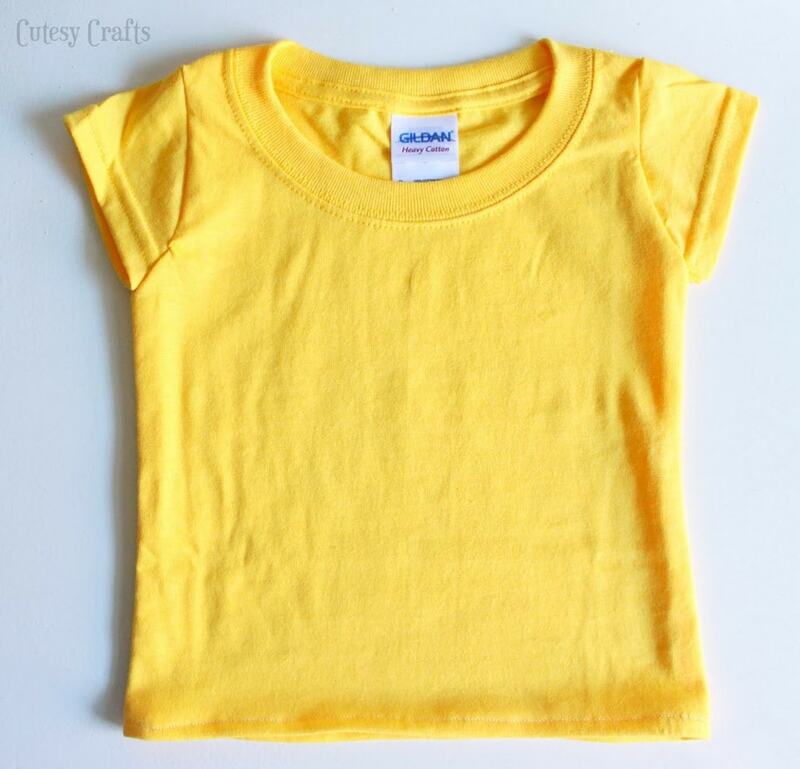 All I could find were plain yellow t-shirts for big kids. With just one day before a Halloween party, I did what any craft blogger would do… I improvised and made a big shirt smaller. Here was the final result. Could I have just used a black shirt and put yellow stripes on it? Probably. But that would have been too easy. Really though, I just think of yellow with black stripes when I think of a bee. So just to give you an idea of how big this shirt was, here’s a before and after. The neck is still a little large, but definitely a big improvement overall. 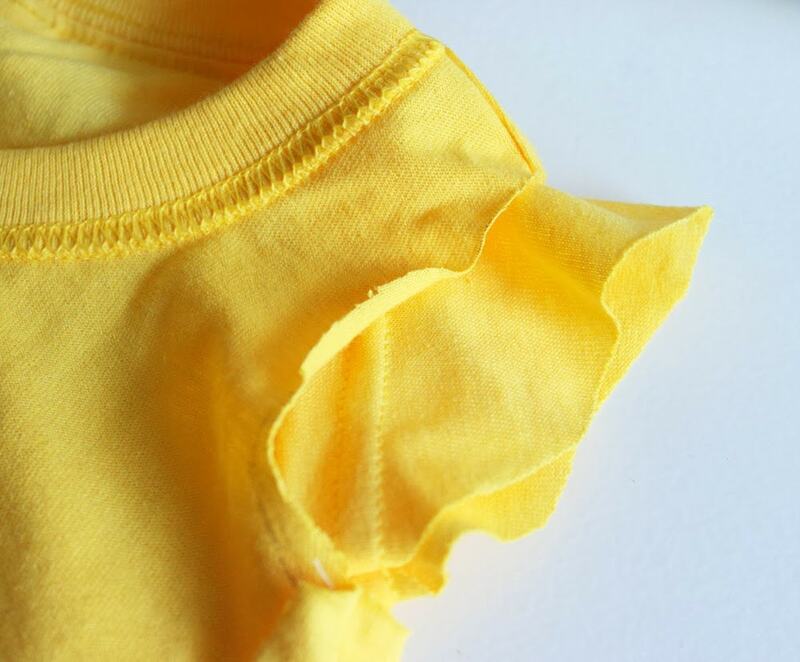 So in case you ever run into the same problem, here’s a little rundown on how I made this big kid tee into a toddler tee. The first thing I did was get a shirt that already fits her. 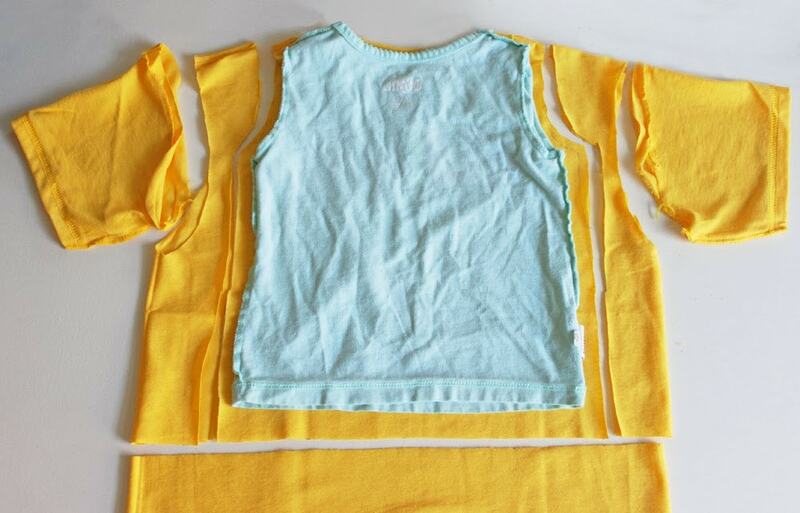 Turn both shirts inside out and push the sleeves of the smaller one inside itself. Lay the shirts out flat, lining up the neck openings. Cut out the bigger shirt 1/2 inch bigger than the smaller shirt. This will be your seam allowance. Also, cut the sleeves off. 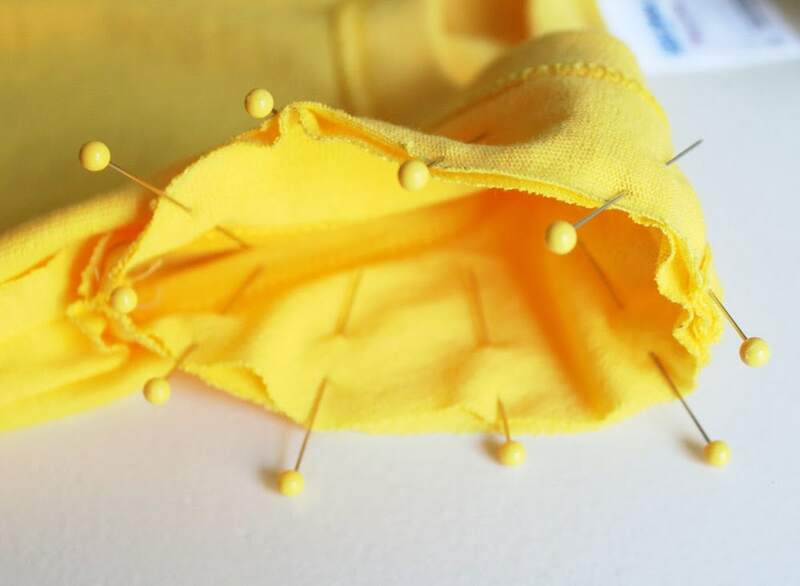 Pin down both sides of the new shirt and sew a 1/2 inch seam. Now, I was just making this for a Halloween costume, but if you really wanted it to come out nice, you would probably want to use a jersey needle, walking presserfoot, and some kind of stretch stitch. 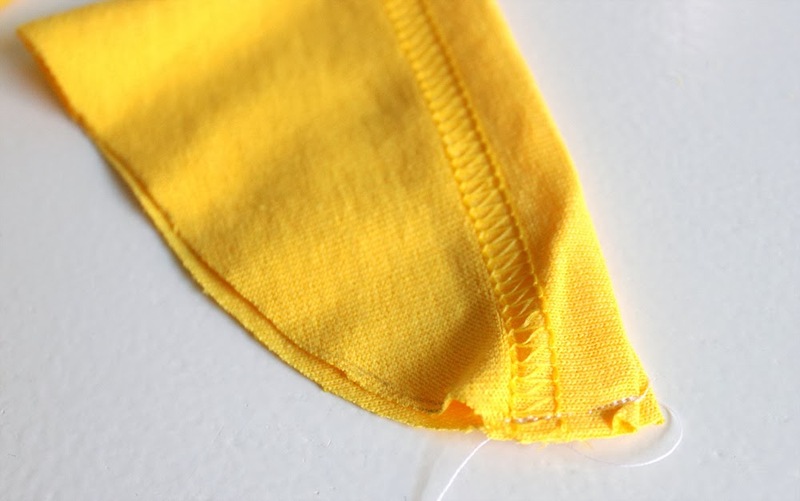 Turn up the bottom 1/2 inch and hem it. Again, it’s just a costume, so nothing pretty here. 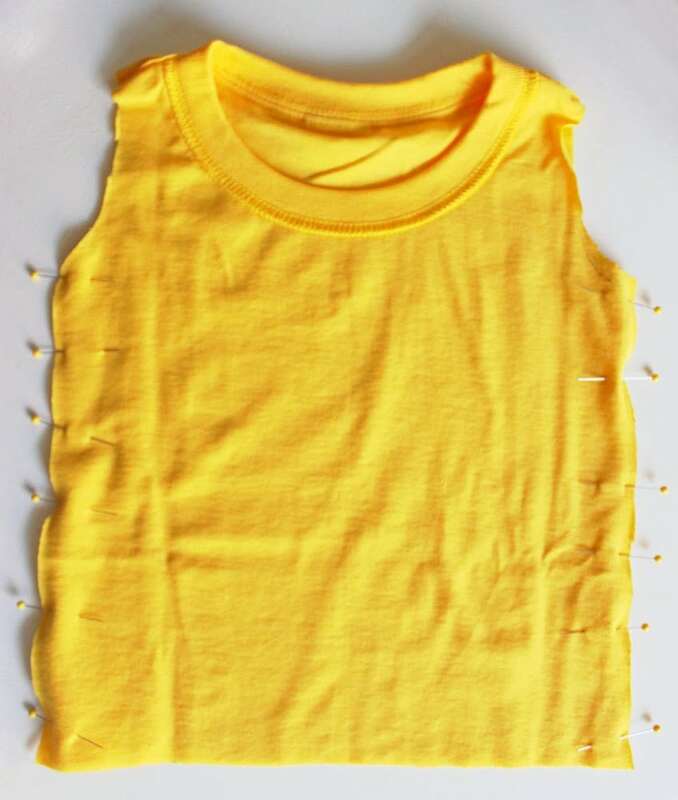 Next pull a sleeve out of your smaller shirt and and lay it on top of the sleeve that you cut off the big shirt. You want to line up the sleeve openings. 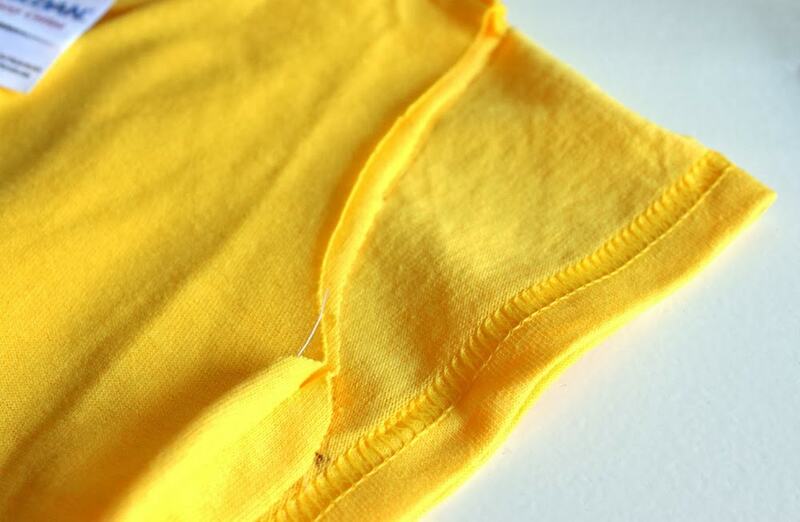 Mark the top and bottom of the sleeve-to-shirt seam. Line up the sleeve opening of the new shirt with the two marks that you just made and use that as your cut line. When you have one sleeve cut out, use it to trace the other one. 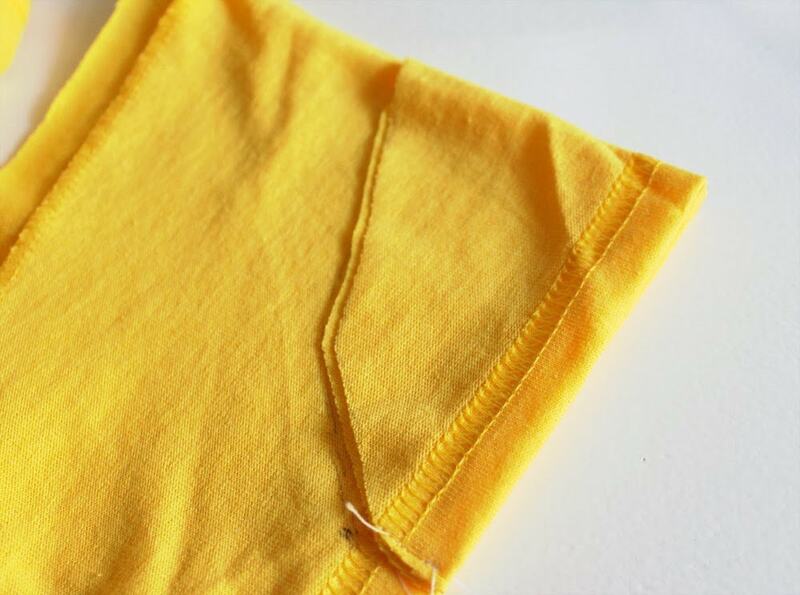 Sew the bottom of the sleeves shut. Just that little part on the bottom. 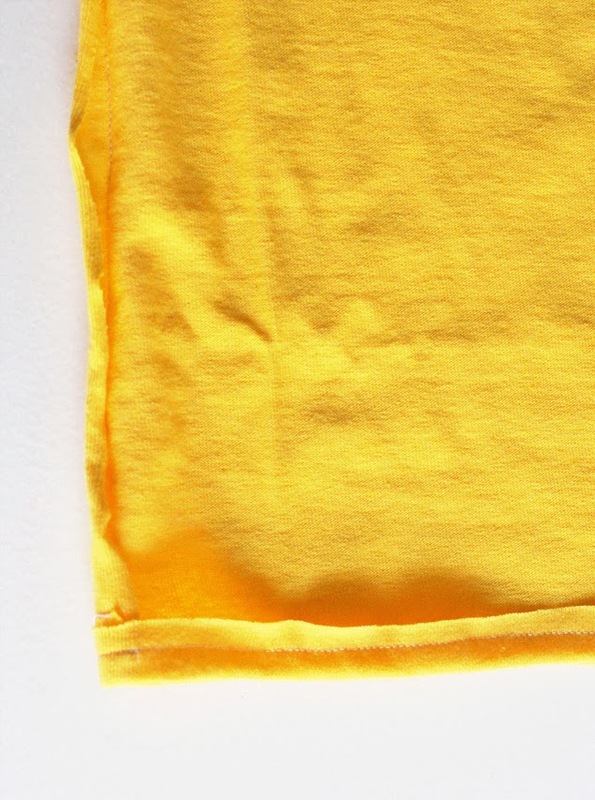 Turn the sleeve right-side-out and push it into the arm hole of the new shirt. Line up the seams and pin all around. 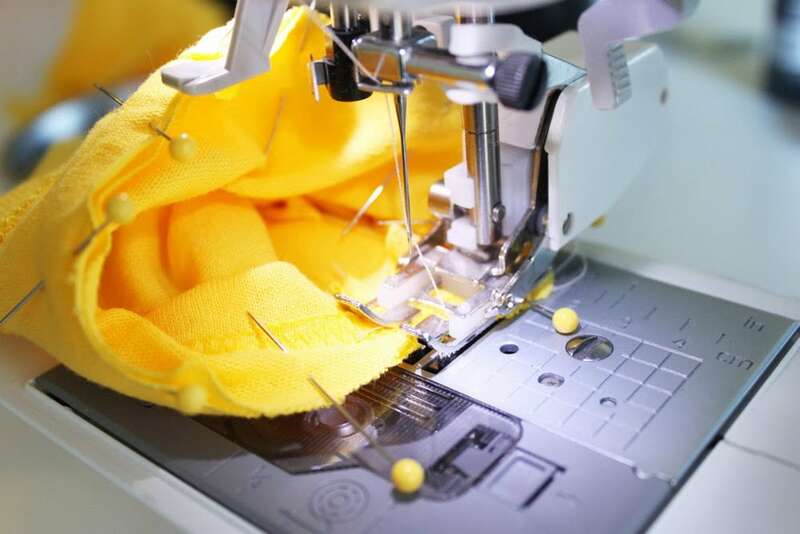 Carefully sew a 1/4 inch seam to attach the sleeve. Do the same for the other sleeve. Turn the whole shirt right-side-out, and admire your work. 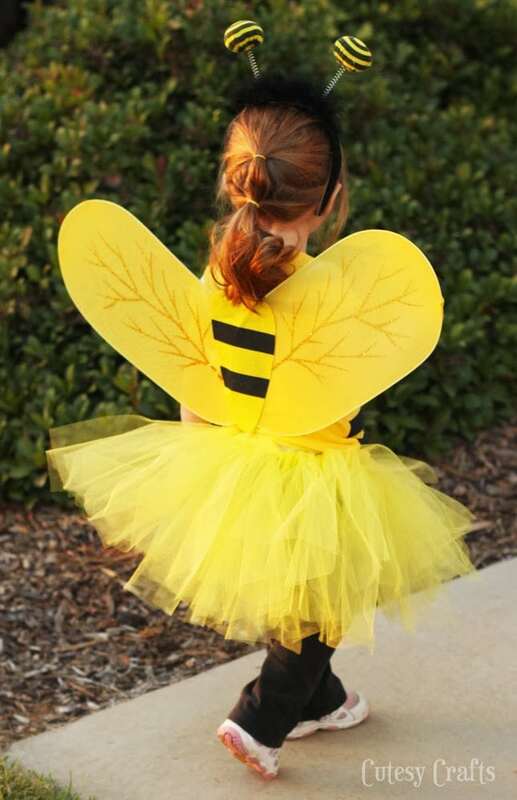 Now back to what made this a DIY bee costume. 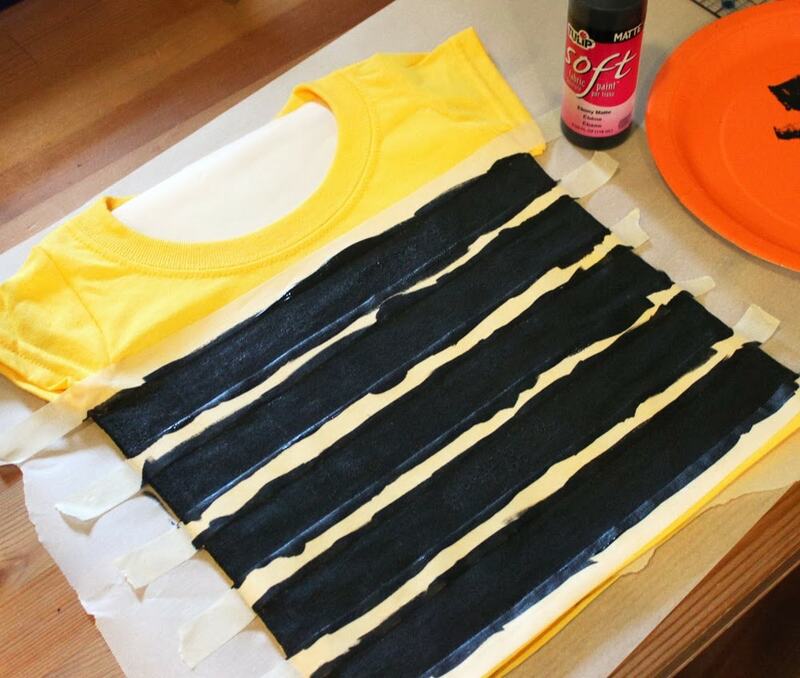 To paint the bee stripes, put some wax paper in the middle of the shirt (this keeps the paint from bleeding through). 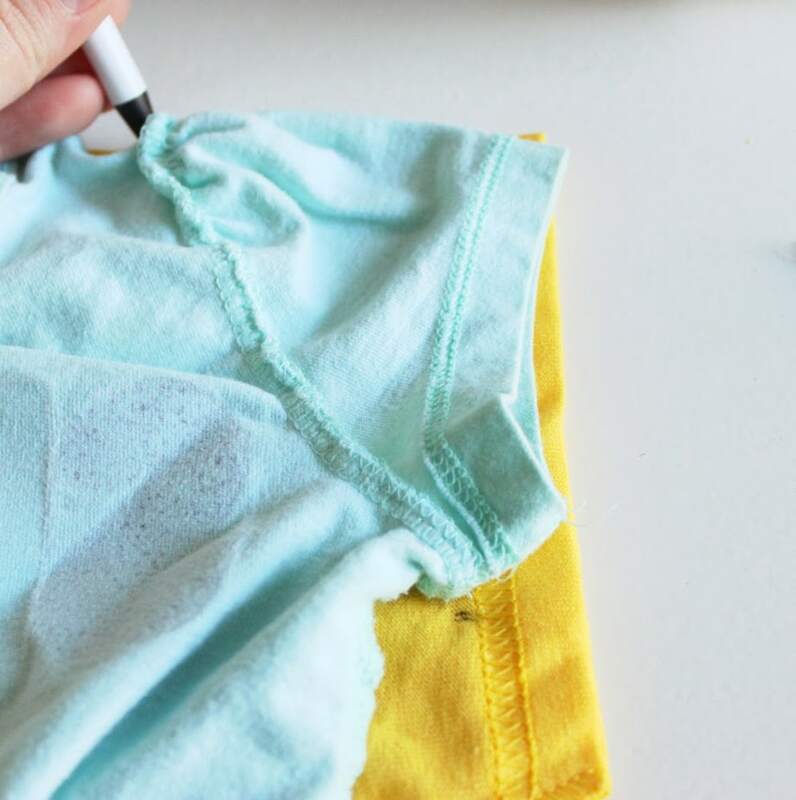 Use masking tape to make 1 inch stripes and paint with soft matte fabric paint. Wait for the paint to dry and then heat set the it (usually ironing) and you are good to go. Now, I know I’m a little bias, but isn’t she the cutest thing you have ever seen?! Not too bad for a DIY bee costume! Happy Halloween!!! Adorable! 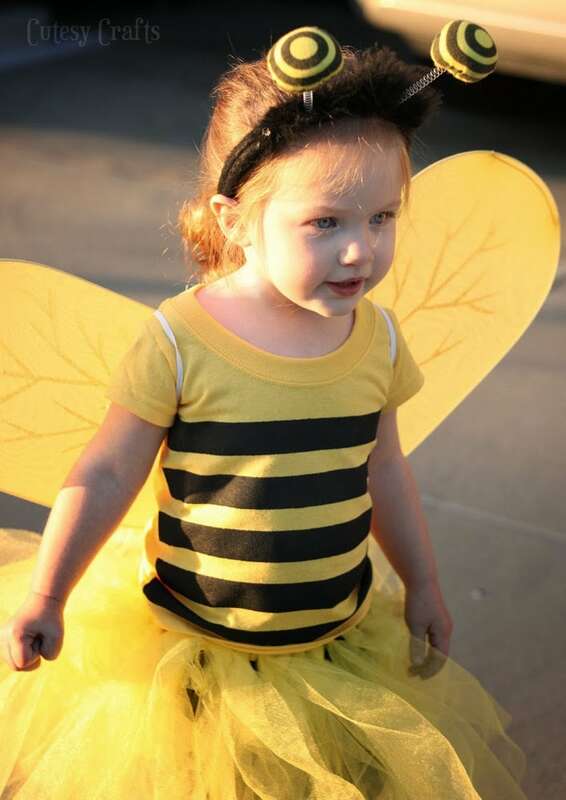 I love bees and recycling t-shirts for little ones. 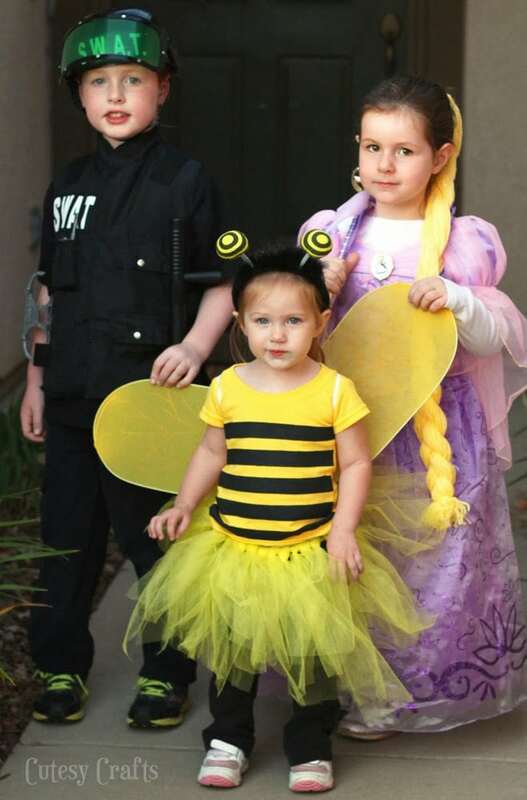 Lochlan was bee for Halloween too and Leif a ladybug. Oh how cute!!! Wish we lived closer so we could do a group picture! Thanks, Emily! I can’t believe Leah is going to be 2 soon! Thanks, Emily. Girls are SO much fun to dress up! That’s the cutest bee for sure! Thank you for the instructions.. Very clever! Did you make the tutu too? Yes. I just found a tutorial online. Very simple to make.